This year’s Mizik Ayiti Summer series kicked off with Lakou NOU + Mizik Ayiti on Friday, June 30, 2017. The evening featured a joint performance by pioneer Lakou NOU residents Sabine Blaizin, Rodney ‘Okai’ Fleurimont, and Veroneque Ignace, featuring musicians Jean Frenel Misere and Jean Montina of Kriyol Dance! Collective. The 2017 Lakou NOU Cohort was announced and Haitian-American songstress Mikaelle Aimee Cartright followed up with a smooth blend of Haitian inspired folk and soul! Congratulations to Jasmine Plantin, Diane Exavier, Nubian Nene, and Glenda Lezeau. Welcome to Lakou NOU 2017 and the HCX family! Next up was a rooted performance by Fanmi Asòto, which took place on July 16, 2017. 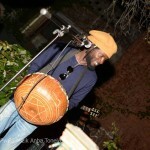 Fanmi Asòto (Family of the Mother Drum) was formed in 2014 to transmit Haitian traditions to future generations, through music, interactive workshops and activities in various aspects of Haitian culture. 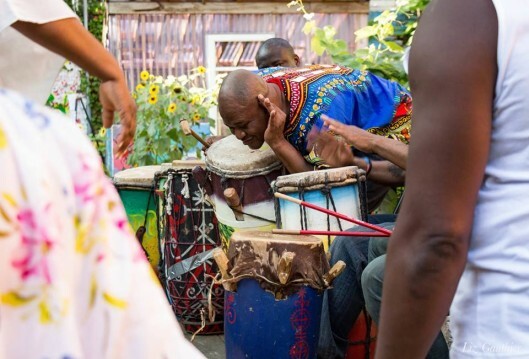 The group transformed the garden with the songs and rhythms from Haitian Vodou. The final installation in the Mizik Ayiti Series, Pwezi ak Mizik Anba Tonel, held on August 26, 2017 from 6-9pm at the Westbrook Memorial Garden, was nothing less than exceptional. 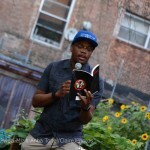 Jeffrey Dessources, aka MrJeffDess, a dynamic public speaker, author, emcee and professor of Haitian descent, hosted throughout the night and performed breathtaking and engaging poetic compilations. This native New Yorker, known as the Disruptive Educator, is also the Co Founder of the educational platform, Trill or Not Trill. The company bridges the gap between popular culture and student development. MrJeffDess is the author of five books and has delivered lectures at over 25 universities, including Columbia and Princeton University, and has performed globally in Indonesia, Italy and South Africa. He has also been featured in Ebony Magazine, The Root and Urban Cusp Magazine. His performance was complemented by Kreyòl poet Schneider Laurent, accompanied by Billy Midi and Rebecca Senat. The trio gave an energetic and riveting spoken word performance. The night was topped off with music by Tiga Jean-Baptiste and his band, which featured Nkumu Katalay of the Life Long Band Project. A special mention to Riva Precil & Bohio Music and DJ Sabine Blaizin for participating in the Brooklyn Queens Land Trust Open Garden Day, which took place on Saturday, September 16th from 4 to 6pm in the Westbrook Memorial Garden. 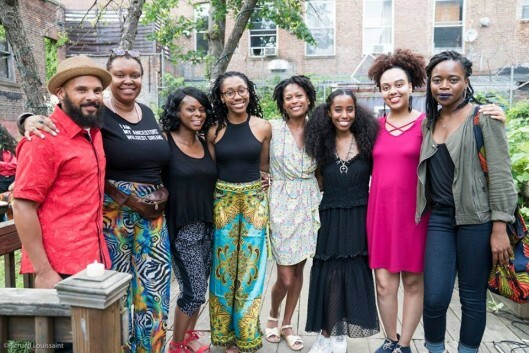 The event was, in part, made possible by the Brooklyn Community Foundation, New York Council for the Arts, and The New York Department of Cultural Affairs in partnership with City Council Members Laurie Cumbo and Jumaane Williams. Born in Brooklyn, Riva grew up in Haiti where she studied music, folkloric and modern dance, art, and theatre under some of the most important teachers of their genre. She obtained a degree in Music Therapy at Loyola University in New Orleans and completed a Music Therapy internship at Beth Israel Medical Center in Manhattan. 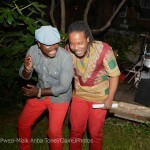 Bohio Music, co-founded with musician Monvelyno Alexis presents a fusion of traditional Haitian Rasin music with jazz, soul and R & B. Check out this clip from their performance at B Side. Veroneque Ignace is a Brooklyn-based Haitian American community arts advocate and public health practitioner. She is the creator of Kriyol Dance! Collective and centers her work on community and individual wellness. Veroneque is an alum of Suny Downstate Medical Center: School of Public Health. This entry was posted on Thursday, October 12th, 2017 at 2:19 pm	and is filed under Archive, HCX Programs, Lakou NOU, Mizik Ayiti, Music, Poetry, Uncategorized. You can follow any responses to this entry through the RSS 2.0 feed. You can leave a response, or trackback from your own site.